Update January 14, 2017: If you’re reading this, you’ll no doubt have noticed that Night in the Woods has missed its initial release date. Fret not, as Infinite Fall and Finji have announced that Night in the Woods will release on February 21. Initially revealed in a backer-only update on their Kickstarter, Infinite Fall announced earlier in the week that their animal mysterious adventure hadn’t disappeared into the night, but that it was releasing near the end of February. If indie games are your thing, check out our list of some of the PC’s best indie titles. 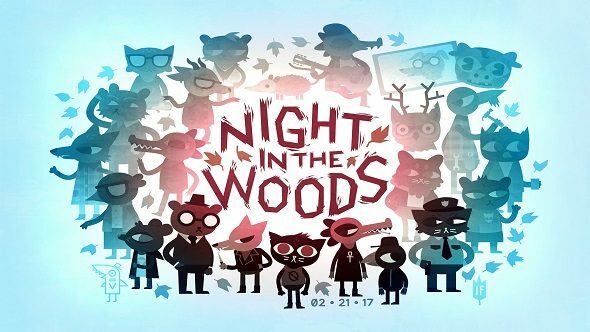 Original story December 17, 2016: Ahead of its launch on January 10 2017, Infinite Fall have released a new trailer for their Kickstarted adventure game, Night in the Woods. Following the story of Mae Borowski, Night in the Woods details what happens as she returns home to the run-down mining town of Possum Springs to reconnect with old friends after dropping out of college. However, her hometown is not as it seems, as not only have her friends moved on, but weird things are beginning to happen whenever the sun goes down. The trailer shows a brief snapshot of what you’ll be doing in Night in the Woods, which is exploring a vibrant cartoon world, uncovering the mysteries of Possum Springs and having the odd knife duel along the way. The Teddy Bear’s Picnic sure is brutal in this town. If you want a taste of what Night of the Woods will play like ahead of next month, you can try out the free side game, Lost Constellation over on itch.io. It’s a folktale from the world of Night in the Woods, so it should give you a decent idea of what to expect in terms of the full game’s writing and tone. No news on pricing just yet so give the Steam page a regular check for information. Night of the Woods is coming to PC, Mac and Linux on January 10, 2017.